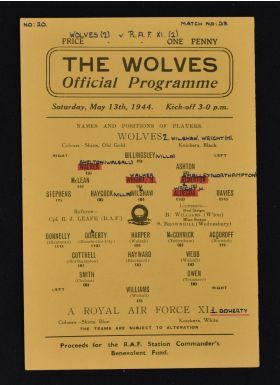 War time 1943/44 Wolverhampton Wanderers v Royal Air Force Football Programme dated 13 May 1944, single sheet. Good, has team changes. 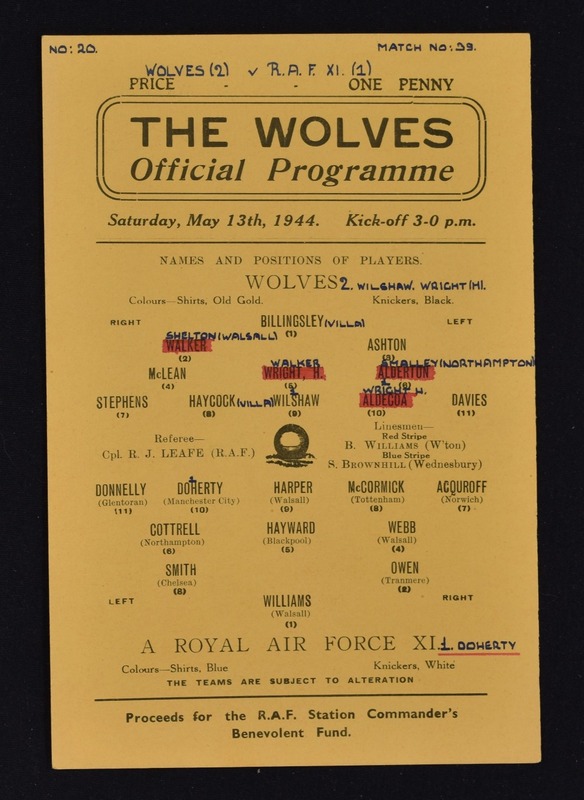 NB: Bert Williams in the RAF team.